Conservatories offer an elegant and stylish way of increasing the living space in any home. Providing homeowners with a comfortable and relaxing area in which to enjoy their garden in the warm, albeit short, summer months, conservatories are becoming increasingly popular throughout the UK. However, over time, they can look worn and tired, meaning homeowners feel less inclined to spend time in them. At Glaze-Tech, we utilise our decade of glazing experience and the skills of our fitters to provide domestic customers from across Kent and the South East with expert conservatory refurbishment services. Our conservatory refurbishment service is entirely bespoke, meaning you can have the conservatory you want, in the style you want. Working with your specifications and requirements in mind, our specialist fitters and glazing experts will take care of everything for you; from painting and decorating and plastering to joinery and door and window installation, we have got conservatory refurbishment covered. Our uPVC installations of either doors or windows add a stylish and attractive element to any conservatory. Having worked as professional glazers for more than a decade, we have the necessary skills and expertise to provide effective installations of uPVC windows during any conservatory refurbishment project. All our fitters are FENSA accredited, ensuring you peace of mind and absolute quality in everything we do. Whatever your conservatory refurbishment requirements, we will provide a cost effective, attractive and reliable solution that is based on absolute quality and years of industry experience. Based in Aylesford, near Maidstone, we regularly provide homeowners from across Kent and the South East with the finest conservatory refurbishment projects, arranged and carried out at their convenience. 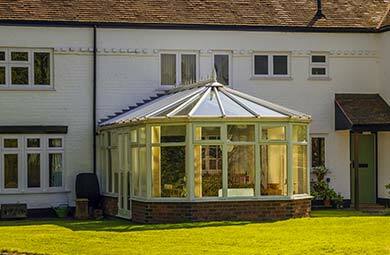 For more information on our conservatory refurbishment services, please contact us today. A member of our helpful team will answer any questions and discuss your requirements while offering honest advice and support.